The Malcolm Jenkins Foundation, PepsiCo and Feed the Children joined forces last Friday at Xfinity Live! in South Philadelphia for “Get Ready Fest: Feeding Philadelphia.” The event is an effort to fight hunger and help Philadelphia families in need. 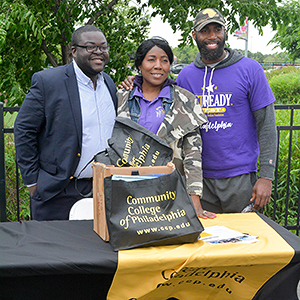 Two-time Super Bowl winning champion and Philadelphia Eagles safety Malcolm Jenkins is no stranger to giving back. 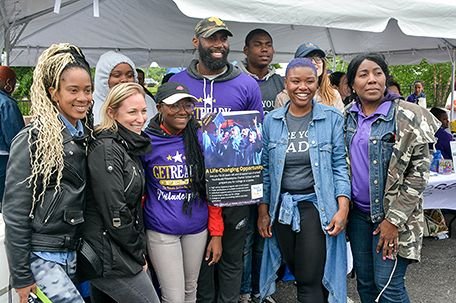 The Malcolm Jenkins Foundation’s mission is to help underserved youth and communities through mentorship and programs that encourage education, character development, leadership, health, recreation and life skills. 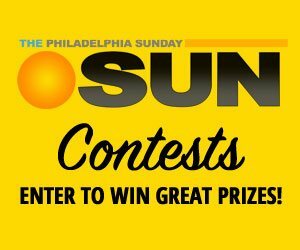 According to the 2018 “State of the City” report, Philadelphia’s poverty rate is currently at 26 percent, with half of its residents living in extreme poverty. Jenkins was on site at the event and expressed the significance of the “Get Ready Fest”. Jenkins, originally from East Orange, New Jersey, has been doing his part to give back not only in Philadelphia, but also throughout the country. He spoke about some of the work he’s done with “Get Ready Fest” so far. The Philadelphia community greatly benefited from the event. Two semi-auto trucks were filled with food, daily essentials, books and school supplies. Free health screenings and haircuts were also available for the people in attendance. Jenkins shared his goal for the event and the Philadelphia community. To find out ways to support Get Ready Fest and The Malcolm Jenkins Foundation visit http://themalcolmjenkinsfoundation.org/. The site offers a schedule of all upcoming events, and people can register to be volunteers. Join the email list and donate to support the cause of your choice.